In which swatching and blocking go out the window. So much for swatching and blocking. There’s no more ‘trusting the process’. (I wasn’t so good at that, anyhow!) It seems ‘winging it’ is the new pattern. (That’s always been in my wheelhouse.) Best news of all, this is at the instruction of the designer. As you can see, I’m nowhere near 9″. 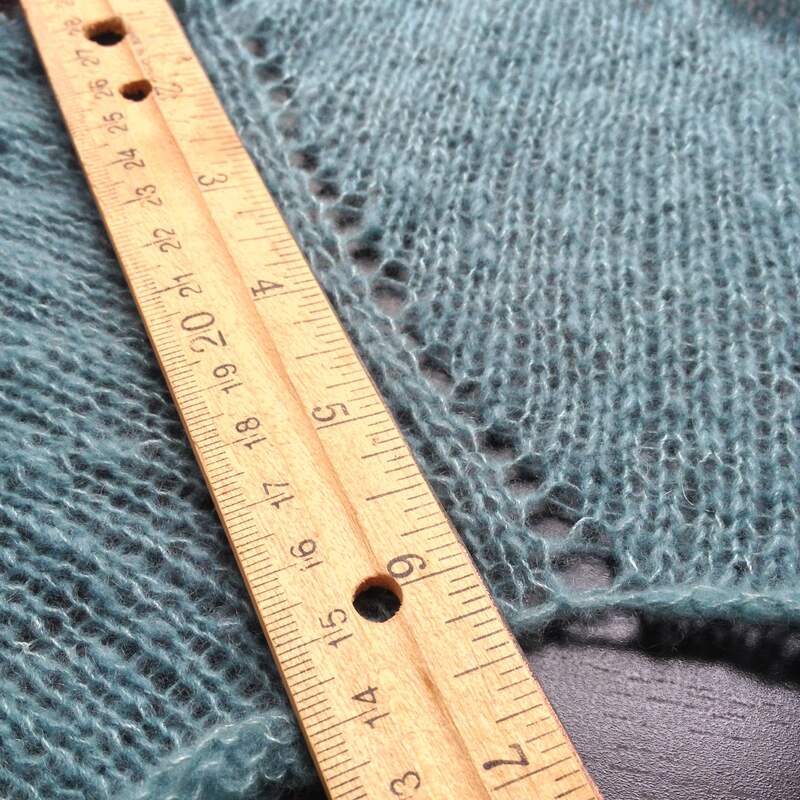 I measured the raglan line of my favorite sweater and it was, indeed, 9”. I hemmed and hawed over this last night. There was much internal debate. It goes directly against the idea of swatching and blocking to make a decision on the fly, based on an unblocked sweater still on the needles. I’m doing it anyhow. Justification 1 — There are no knitting police. I can do whatever I want! HA! Justification 2 — The designer said so. Obviously, she has a clue. Right? Fingers crossed! 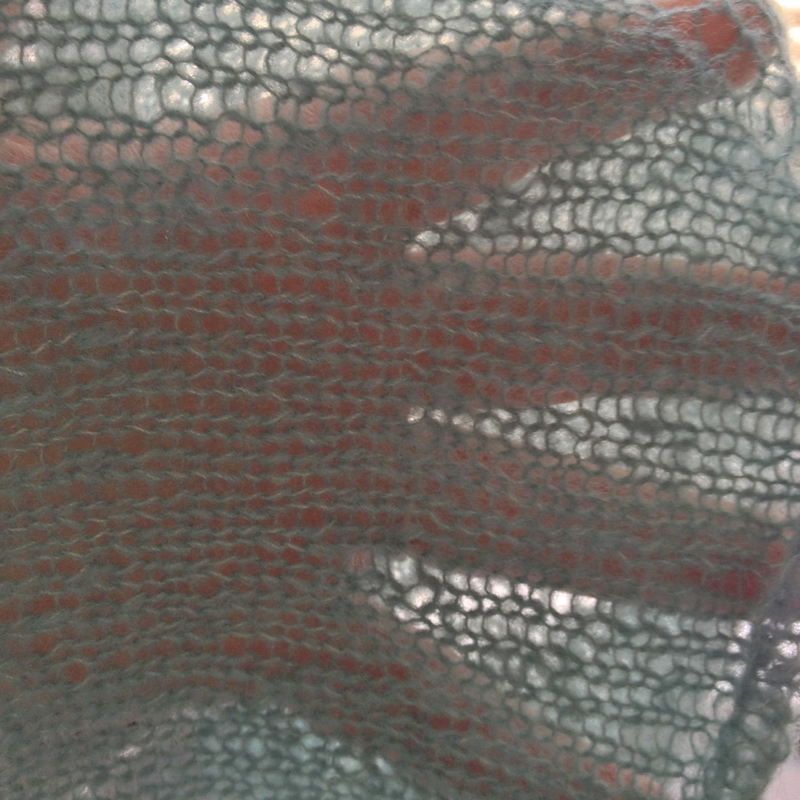 Justification 3 – This fabric is so gauzy, it can only be an over layer. This decision will make the garment bigger. Extra room for the under layers won’t hurt. The real decision, yet to be made, is do I go all the way to 9″. That would be going up two sizes in the pattern, not just one as the designer suggests. I probably will because…There are no knitting police. I think I’ve gotten over the worry phase of the project. I’m making this (and all future) decisions with reckless abandon! Who needs to swatch, anyway??? Someone reminded that patterns are merely suggestions this morning :) it’s good to remember! I’ve got my fingers crossed too!! Oh I feel your pain. I say error larger…would be a bummer if it was too small.